Mother’s Day is around the corner, and as a mom, I love a homemade gift. A gift a child makes has a deeper meaning than something they could just buy at the store with dad. So, I collected a bunch of DIY Mother’s Day gifts that will also be great for Teacher Appreciation Week. I think I need to forward these to my husband and teens so they can start getting crafty for Mother’s Day too! I hope you find some inspiration in this list of 25 Homemade Mother’s Day gift ideas. 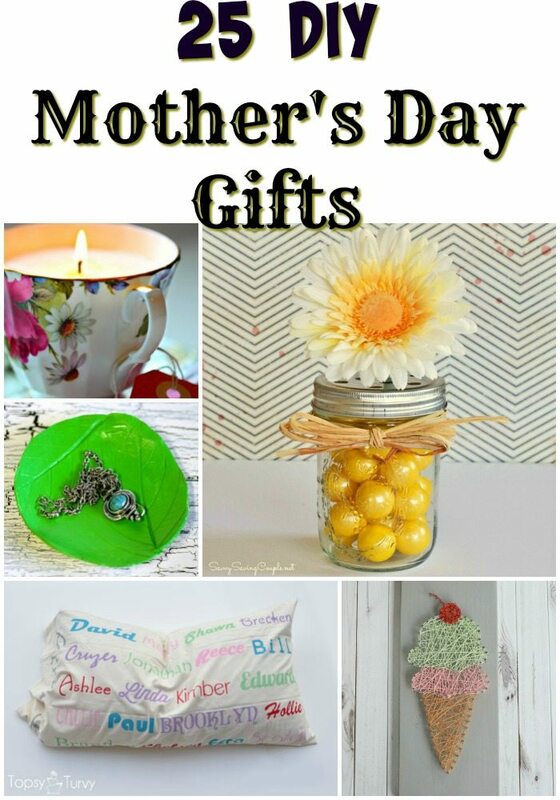 I would love to know which DIY Mother’s day gift ideas you would love to receive. What is your favorite DIY Mother’s Day gift you ever received or made?